Congrats to Dr. Kent Lee who defended his dissertation! Kent will start a postdoc in affective neuroscience at Northeastern University in January. The lab welcomed Society for Personality and Social Psychology Summer Program for Undergraduate Research scholar Dhariyya Singh as an intern in summer 2017. 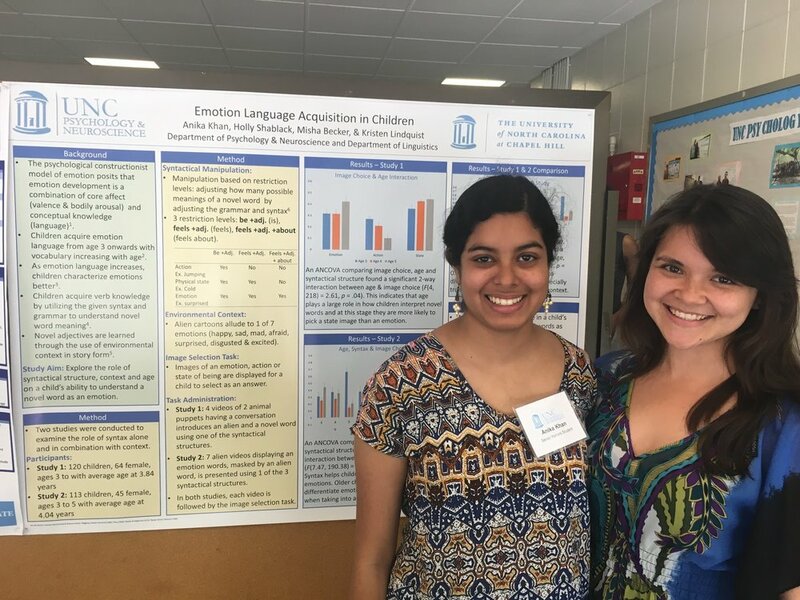 Dhariyya visited Chapel Hill from India and examined physiological correlates of emotion in aging populations. Dhairyya with mentors Kristen Lindquist and Jenn MacCormack.